Windows 8.1 error "you do not have license for this product"
On a new workstation install for Windows 8.1, user receives the following error message "you do not have license for this product". 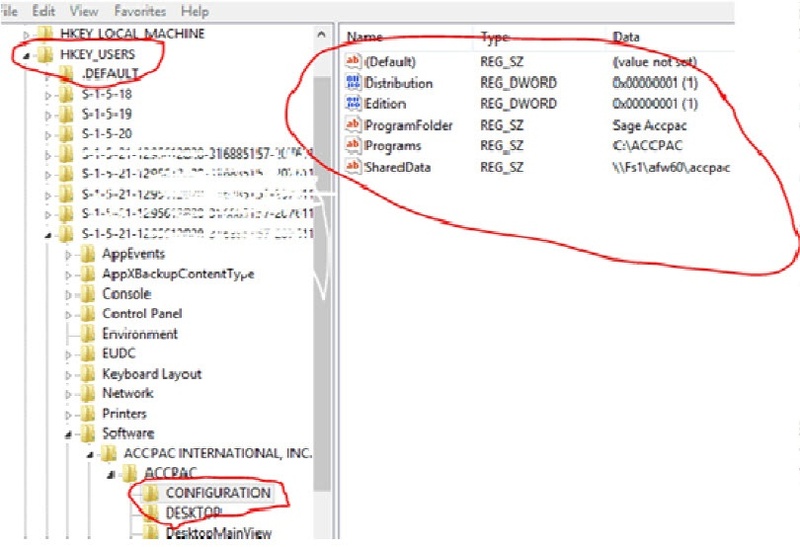 The fix is to recreate the ACCPAC Configuration registry values in HKEY_LOCAL_MACHINE to the HKEY_USERS folder for that individual user. Identify which Windows user is affected. On the computer (usually a Win 8/8.1 PC) where the Sage 300 programs or workstation setup is running, run Command prompt as Administrator. You must be logged in with an administrator account. Run this command: WMIC useraccount get name,sid. Identify the SID of the affected user from the list. To play it safe, BACKUP your registry before proceeding. Run REGEDIT, and go to HKLM\SOFTWARE\ Software\Wow6432Node\ACCPAC International, Inc\ACCPAC\Configuration. Take note of the values. See example below. You will need to copy the values in step 6. 7.) 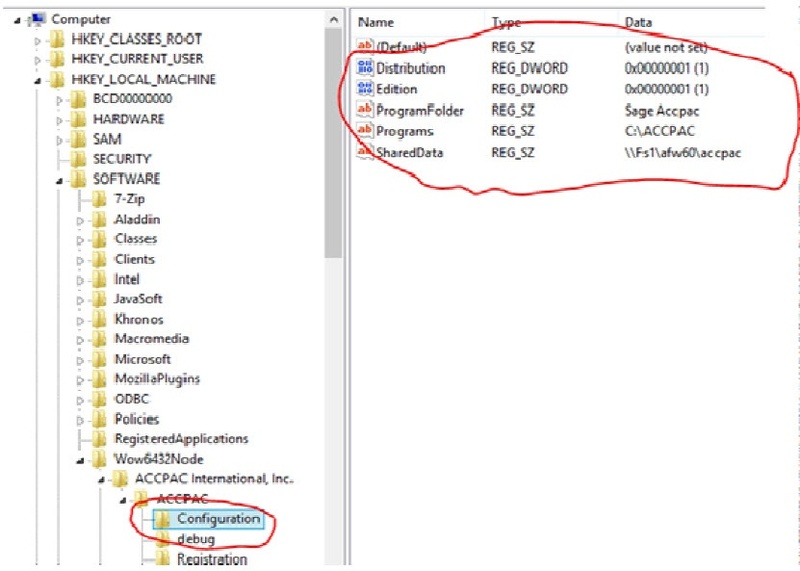 Go to HKEY_USERS\<user’s SID identified in step 4>\Software\ACCPAC INTERNATIONAL, INC.\ACCPAC\CONFIGURATION. 8. Create the same string, dword (32 bit), etc. values as noted in step 6. 9. When done, close Regedit and observe if the user still reports the same error. Still Need Help or Personalized Accpac Support?